A quality lightweight poly-resin water feature consisting of 3 designer granite look bowls with cascading water and led light. This product is supplied with a mains adaptor to run the feature if you wish to either indoors or outdoors. As you are supplied with a mains adaptor this allows you to charge the solar panel which then gives you extra battery backup for them gloomy days (approx charge time 2 - 3 hrs). The LED light provided gives that extra WOW factor as this lights up the feature at night. Easy to install and maintain, you just plug and play. Solar power with battery back up and timer. 420mm (w) x 390mm (d) x 540mm (h). Solar pump with 3m of cable, battery back up and timer. 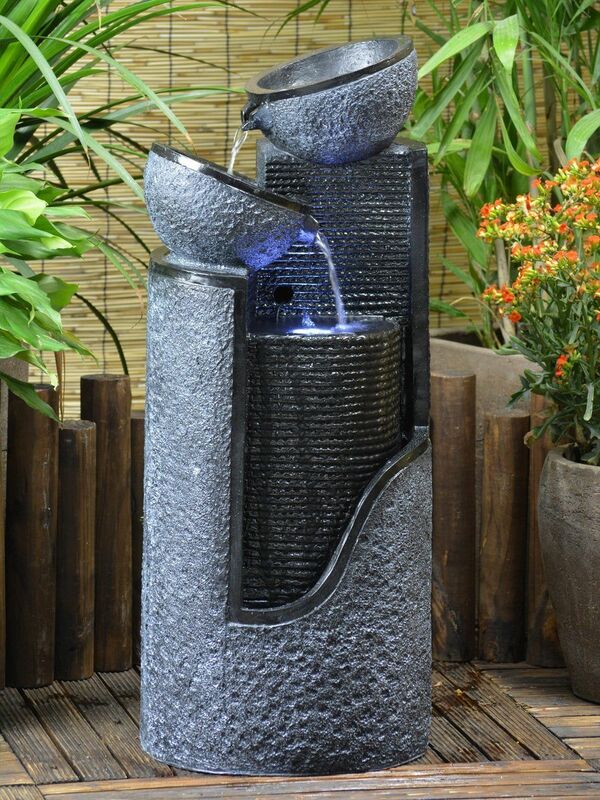 Solar Granite Cascading Bowls Water Feature - customer reviews.